Magic Booklet - Presto the Magician! Cool Magic Tricks You Can Do! Say goodbye to plastic bags filled with cheap toys that will break the moment kids get them. Presto’s magic booklet is a great alternative to goodie bags and is the easiest birthday party favor ever! 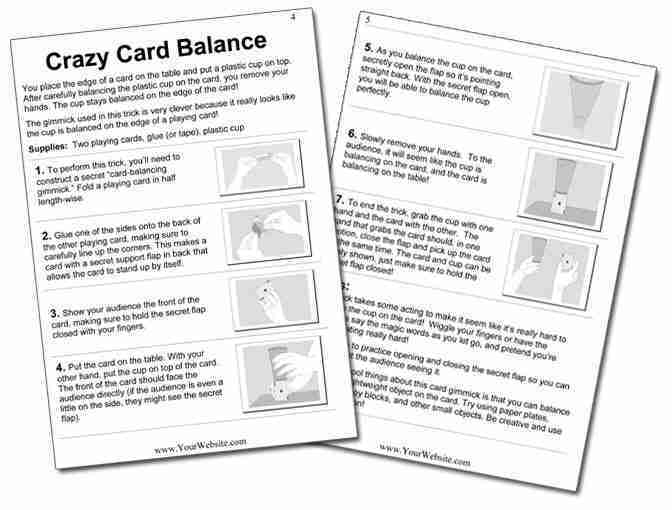 The booklet teaches 10 easy-to-learn yet incredible magic tricks, perfect for the beginner or kids who are already interested in magic. The book explains each trick, step by step, and is filled with over 60 beautiful illustrations. The booklet is perfect for kids ages six and older and makes a GREAT rainy day activity for kids to do with their parents! I’m proud of this booklet because I wrote it and put it together myself. It contains 10, hand-picked tricks that I chose myself because they were visual and easy to learn. In fact, I performed most of these tricks when I was a kid myself. 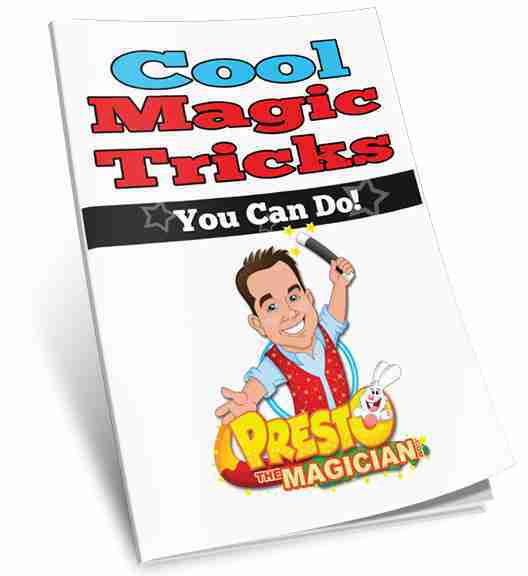 Think of how excited the kids will be when they get a copy of Presto’s Magic Book, from Presto himself! The books come individually packaged, I can bring them to your party, and you just pay for the ones you use. This means no driving around town, fussing around with goodie bags, and no left-over supplies. If you have your heart set on giving out goodie bags, or are doing bags to match the party theme, these books make a great addition to the bag, and add a touch of magic. They also go great with magic wands. I’m happy to offer them to you at a discounted rate of just $3 each! and your birthday party favors are done!